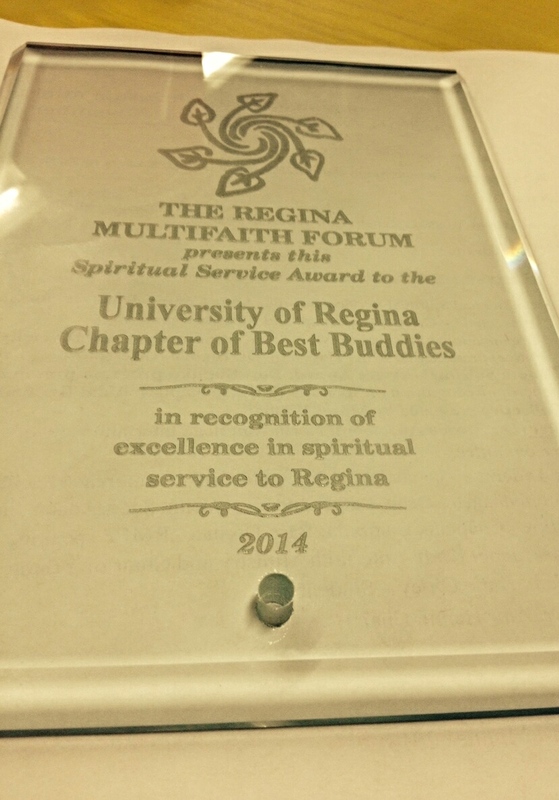 The Regina Multifaith Forum (RMFF) has given the Young Award 2014 to the University of Regina Best Buddies Chapter for outstanding contribution to our community. This award is given by RMFF executives to a member of the community whom they believe contributed the most to moderate and eliminate prejudices which hinder the development of a just and harmonious society, and is guided by the principles of mutual respect, inclusiveness, openness, and consensus. 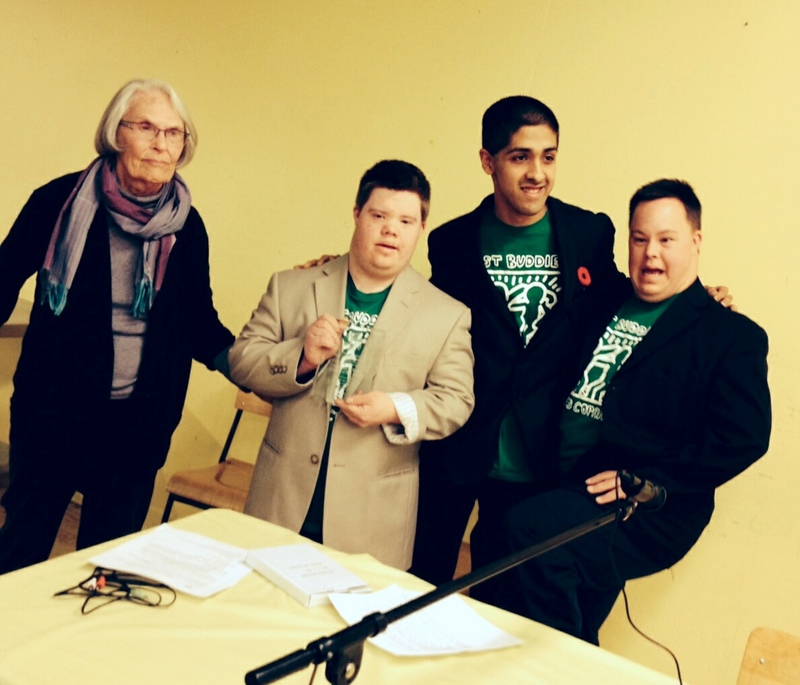 Jordan Seitz, Aaron Higgins and Madeeh Rehman – Co president of University of Regina Best Buddies Chapter accepted the award at the RMFF AGM on November 3rd, 2014. Congratulations University of Regina Best Buddies Chapter! And thank you Regina Multifaith Forum for promoting equality and inclusiveness in our community. Jean Parker, Jordan Seitz, Madeeh Rehman and Aaron Higgins.